The Zama of the title is a magistrate for the Spanish king who is stuck in a far flung city in Paraguay. He hasn't been paid in ages, is hoping to be reassigned, but it's all a waiting game. Months pass and still nothing. Will he ever get out of this god forsaken place? 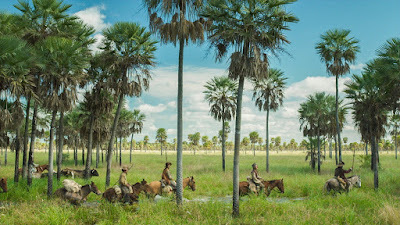 ZAMA the film is impossible to describe. I could describe it in terms of other films and other filmmakers but that would be wrong. ZAMA is unlike any other movie ever made and we are so much better for it. Lucrecia Martel has made a masterpiece where nothing happens and everything does. We watch Zama as he goes through his paces and waits for permission to leave. No, that's not right, what we do is experience the world through Zama's eyes. We see only what he sees. The sound comes and goes. We hear his internal voice and we watch as he slowly goes mad... and we in the audience are delighted because we have been gifted with a puzzle box of a film that engages us on every level. Feeling less like a film than a novel there is a complexity and a daring one only find in the literary world. Here is a film that takes chances in structure and editing to create rhythms that up to now have been alien to cinema. Each scene or sequence isn't part of a film but a chapter in some grand tale contained in a novel in Martel's mind. A large part of the reason that Martel succeeds in telling this story is that she has Daniel Giménez Cacho in the lead. Cacho gives one of those performances that the Academy Awards will ignore completely and in five years time they'll be talking it up as they give him his golden state for some other lesser film. Here Cacho gives a performance for the ages. This is one we will be talking about it for decades to come. It's all in the body language and in his eyes. We know everything about Zama and his life simply by watching how he reacts or tries not to. His eyes give everything away that is going on inside of him. We feel the desperation and the isolation and we bleed for him. ZAMA is impossible to fully grasp on the first viewing. There is so much going on that this is a film that you will have to see repeatedly just so you can piece it all together. Talking about the film afterward with Hubert Vigilla time and time again we simply said "I have to see this again because I have to see if..." ZAMA is such that it's reputation is only going to grow over time as everyone sees and resees the film and pieces it together. I will say if you can do see this as big as possible. The images should wash over you, especially in the final segments. Additionally seeing the film huge will allow you to discover things in the frame in ways that seeing it on a TV will not allow for. Trust me having to shift you eyes around Martel's images will bring you great satisfaction. 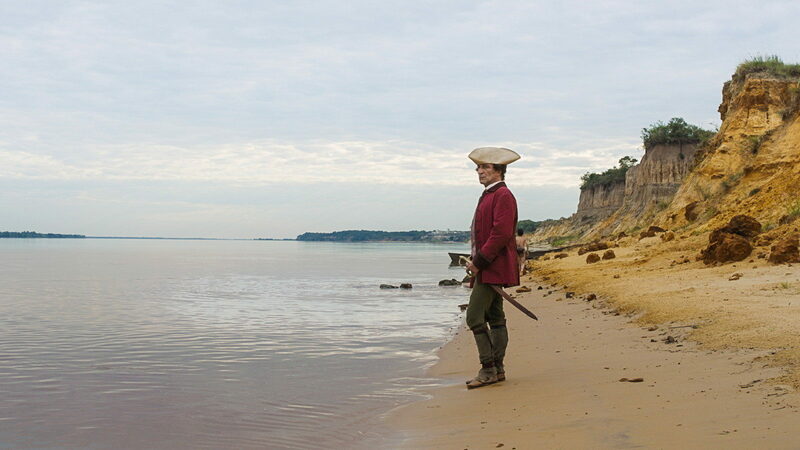 ZAMA screens one more time at the NYFF. For details go here. The film will be getting a US release from Strand Releasing.